Our modern world runs on business fundamentals. Training in Business Administration provides you with a broad range of highly marketable, transferable skills. Graduates of this program are fully prepared for a business/administrative support position in a variety of organizations. Schedule a Tour As technology evolves and expands in offices across the nation, the role of the Business Administrator and Business Support professional evolves along with it. Business Admin professionals are highly valued contributors to any business. They are the professionals with the organization, technical savvy and business skills to keep a business thriving. If that’s the type of position that appeals to you, professional training in Business Administration could be a rewarding career path. The program also includes Microsoft Office Specialist training and is designed to prepare you to earn valuable Microsoft Office certifications. Is a Career in Business Administration Right for You? Find Out! 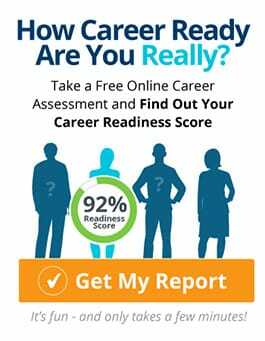 Take the "NTI Business Administration Career Readiness Quiz"
Everyone learns differently. NTI’s exclusive “FLEX-TRAIN” method was designed to address each student’s individual learning style and rate. Our unique blended learning format was created especially for adult learners, and offers a high degree of flexibility. This innovative and successful approach sets NTI apart from other schools. Our programs allow you to progress through the learning material with the aid of one-on-one instruction, multimedia software, interactive courseware, and measurement testing. And because our learning model is so flexible, NTI students can fit their training schedule to the demands of their personal lives. For more information on this career and to explore whether training as a Business Administration professional at Northeast Technical Institute is right for you, fill out the form on the side of this page to receive free career and program information right away.